We’ll be looking for 10 people really soon to carry out research on our Love Your Skin Anti-ageing Facial Oil. I’ve said it before and I’ll say it again, it’s my favourite Holos product. It actually was an after thought, I had created all of the other products and personally had been using the Love your Skin Body Oil but found it a little thick for the face. Sweet almond oil is great on the body and even as a cleanser but not my 1st choice as a facial oil. I had heard how amazing Argan Oil was for the hair so I thought perhaps it would be as good on the skin. To be honest it took one go and I had the perfect product. I already had the anti-ageing blend of Rose, Palmerosa, Benzoin and Frankincense from the Love Your Skin range so I just added it to the Argan and OH MY GOODNESS did it work? Argan is amazing on its own, high in vitamin E and molecular perfect for absorption, there is no better oil for me. Once you add the essential oils which take care of thread veins, blemishes, scar tissue, age spots, high colour, dehydration and fine lines, you’ve got an amazing product. Its funny how it all just happened in a minute and then it becomes your best selling product. It also came in 1st runner up in the beaut.ie beauty awards this year. So back to the 10 people, we’ve been getting great feedback about this product and how it is doing all of the things that I have listed above but we need to get actual documentation from actual research so that if and when we are challenged by the cosmetic powers that be for the claims that we are making, we can hand them the documentation and say “there’s the proof”. 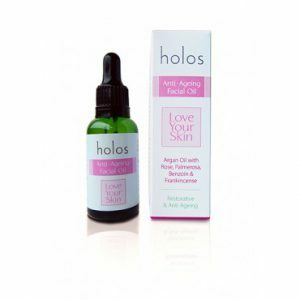 Click on the link to get your own Love Your Skin Anti-ageing Facial Oil, you wont be disappointed. I’ll be looking for the 10 research candidates over my various social media channels so stay tuned in! I recently started following u on snap chat and am loveing ur daily snaps. I am a blogger liveing in limerick and my favourite thing to blog about it beauty products.. iv been trying out anti ageing products for awhile now and would love to try yours i am 26 a daily stresses take their tole on my skin i have scaring and tred veins on my nose and curious to know would this work for me.. would love to be consided as one of your 10. Would really be fun to be involed in and would be great thing to talk to my readers about.. Thanks for getting in touch and for your kind words re. snapshat. I’m really having fun with it but it really is addictive! Will you drop me a mail on niamh@holos.ie so I have all email address together. I will be sending out a questionnaire to all the interested people and picking 10 from that to take part. 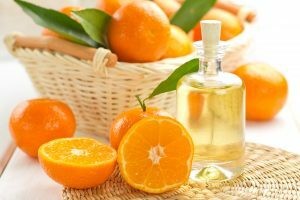 The oil is perfect for any age and is a very important part of any skincare routine and we lose oil as the skin ages and this causes sagging and fine lines. The oil replaces lost fat s naturally plumps the skin. Use alone or before Love your Skin Face Cream, morning and night or just at night.